Date of birth: July 05, 1957. 08/98-01/18 Senior scientist at Danish Meteorological Institute, Research Department (on leave to WMO until Jan 2018). 01/94-07/98 Visiting scholar, project scientist at Atmospheric Physics group of Swedish Defence Research Establishment (FOA) and University of Umeå, Umeå, Sweden. 06/95-04/96 Research scholar at International Institute for Applied Systems Analysis (IIASA), Laxenburg, Austria (Radiation Safety of the Biosphere Project). 01/89-01/94 Head of Department of Mathematical Modeling of the Environment at Institute of Northern Environmental Problems, Russian Academy of Sciences, Apatity, Russia. 01/90-01/94 Director of International Environmental Information Center Econord. 08/79-01/89 PhD-student, young scientist, scientist, senior scientist at Novosibirsk State University, Computing Centre of Siberian Division, Kola Science Center, USSR Academy of Sciences. Seamless Coupled Earth System modelling; Integrated modeling for meteorological and chemical weather prediction; Megacities, air quality and climate interaction; Boundary layer meteorological processes; Mesoscale meteorology, numerical weather prediction and chemical weather forecasting; Microscale / urban meteorology and climatology; Atmospheric long-range transport and aerosol dynamics modelling; Emergency preparedness, environmental impact and risk assessments. - 7FP EC projects ‘MEGAPOLI: Megacities: Emissions, urban, regional and Global Atmospheric POLlution and climate effects, and Integrated tools for assessment and mitigation’ (2008-2011, project leader), ‘MACC: Monitoring Atmospheric Composition and Climate’ (2009-2011, WP leader), ‘PEGASOS: Pan-European Gas-AeroSol-climate interaction Study’ (2010-2014), ‘PBL-PMES: Atmospheric Planetary Boundary Layers: Physics, Modelling and Role in Earth System’ (2008-2013), ‘TRANSPHORM: Transport related Air Pollution and Health impacts’ (2010-2014, WP leader). - Head of Department of Mathematical Modeling of the Environment at Institute of Northern Environmental Problems, Russian Academy of Sciences, Apatity, Russia (1988-1994). - Director of International Environmental Information Center Econord, Apatity, Russia (1988-1994). - PI or project leader for 18 national and bilateral (with USA, UK, Norway, Sweden, Finland) research projects of USSR/Russian Academy of Science. - PI of international projects ‘Origins of Arctic Haze’, KOLANET, ‘Arctic Risk’. - Project leader/co-ordinator of EC FP RTD projects: FP5 FUMAPEX (2002-2005), FP6 EnviroRISKS (2005-2008), FP7 MEGAPOLI (2008-2011). - Leader / national representative at COST (European Cooperation in Science and Technology) programs: Action 715 ‘Urban Meteorology’ (1998-2004), Action 728 ‘Meso-Meteorology’ (2004-2009, vice-chairman), Action 732 ‘Micro-Meteorology’ (2005-2009), Action ES0602 ‘Chemical weather’ (2008-2011), Action ES1004 ‘EuMetChem’ (2011-2015, chairman). - Vice-director of Danish Strategic Research Center for Energy, Environment and Health (CEEH) (2007-2012). 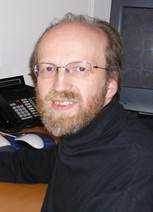 - Leader of the special ECMWF project ‘EnviroChemistry on ECMWF’ (2012-2014). - Chairman of the COST Action ES1004 ’European Framework for Online Integrated Air Quality and Meteorology Modelling (EuMetChem)’ (2011-2015), which includes organizations from 23 European countries, USA, Russia, Canada, as well as WMO, ECMWF, EC JRC, etc. (http://eumetchem.info). - Supervisor/co-supervisor of 12 PhD students (10 are successfully defended) and many BS or MSc students. - Professor of the Russian State Hydrometeorological University (RSHU), St.-Petersburg (since 2008). - Adjoint professor in Integrated dynamic/chemical modelling at the University of Copenhagen. - Courses on integrated meteorology-chemistry modeling, urban meteorology and boundary layers, atmospheric physics, numerical and environment modeling, aerosol dynamics, etc. - Organizer/co-director of summer schools for Integrated Meteorology-chemistry modelling (2008, 2011, 2014). - WMO training schools and courses on Urban Meteorology, Climate and Air Pollution (2015- 2017). - Organizer and chairman of international scientific conferences and young scientists schools «Integrated Modelling of Meteorological and Chemical Transport Processes / Impact of Chemical Weather on Numerical Weather Prediction and Climate Modelling» (2008 in St-Petersburg, Russia, 2011 in Odessa, Ukraine, and 2014, Aveiro, Portugal). - Chairman of international symposium «Megacities: Emissions, urban, regional and global atmospheric pollution and climate effects, and Integrated tools for assessment and mitigation», September 2011, Paris, France. - Co-director and organizer of NATO Advanced Research Workshops: ‘Atmospheric Boundary Layers: Modelling and Applications for Environmental Security’, Croatia (2006). - Organizer and chairman of international scientific seminar COST-NetFAM ‘Integrated Meso-Meteorological and Chemical Transport Modelling’, Copenhagen (2007). - Co-director and organizer of WMO Conference ‘Mesoscale modelling for air pollution applications - achievements and challenges’, Geneva (2010). - Chairman of annual sessions of European Geophysical Union (EGU): ‘Seamless coupled modelling of the dynamics and chemistry of the atmosphere, ocean and land’, ‘Integrated physical and chemical weather modelling with two-way interactions’ и ’Megacities: Air Quality and Climate Impacts from Local to Global Scales’, Vienna, since 2008. - Co-chair of session ‘Environmental Meteorology’ on Annual Meetings of European Meteorological Society (EMS), since 2005. - Co-chair of the World Weather Open Science Conference (WWOSC) session ‘Atmospheric and oceanic composition (processes, physics, modelling)’ (2014). - Initiator and chair of Symposium on ‘Coupled Chemistry-Meteorology/Climate Modelling: Status and relevance for numerical weather prediction, atmospheric pollution and climate research’ (2015). - Member of program and organizational committees, sessions chair on more than 30 international conferences and workshops. - WMO representative in UN and international programmes: GESAMP, GEIA, AMAP, WWRP and GAW programs: SDS-WAS, GAW Aerosol, Precipitation chemistry, GURME, Polar Prediction Project, etc. - Member of proposal evaluation panels of EC DG Research FPs and ERC, US NSF, NASA, etc. - Member of EC Expert Group and co-author of European Union Air Policy Review. - Editor in chief of Urban Climate journal (Elsevier) (http://www.journals.elsevier.com/urban-climate/). - Associated Editor of Environmental Modelling and Assessment journal (Springer). - Member of Editorial Board in Atmospheric Research, Meteorology and Open Atmospheric Science, Geography and Environmental Sustainability journals. - Initiator and co-editor in chief of science-popular environmental journal ECONORD, published in cooperation with Nordic countries on Russian, Scandinavian and English languages (1991-2002). - Gold Medal of the International Eurasian Academy of Sciences.